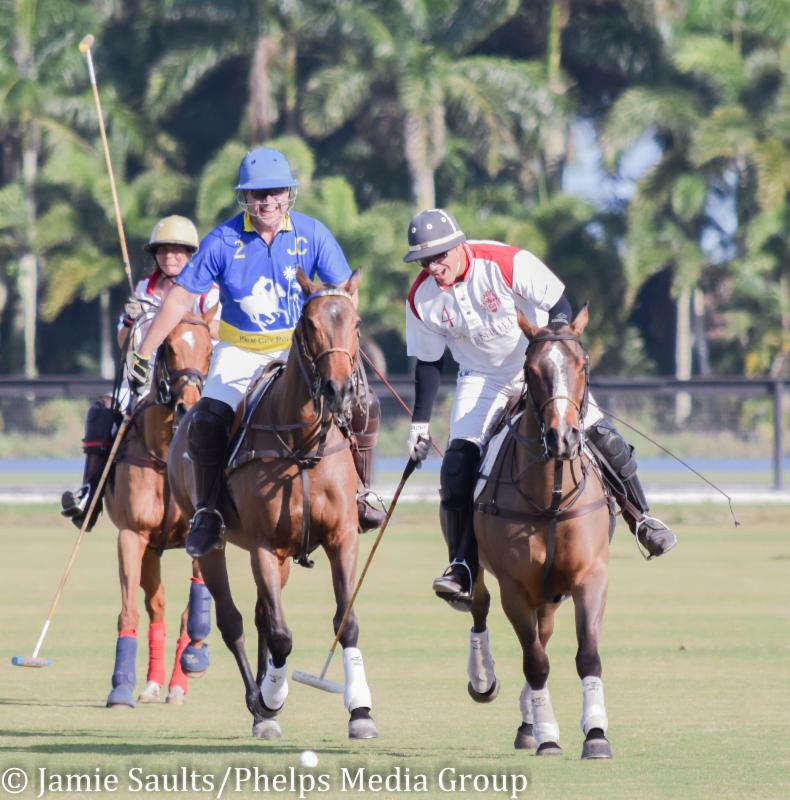 BOYNTON BEACH, Fla. - Jan. 26, 2017 - Tournament play was in full swing at Palm City Polo Club this past weekend with teams from Boca Polo, Greenhill Winery and Tuff Rider all posting wins. 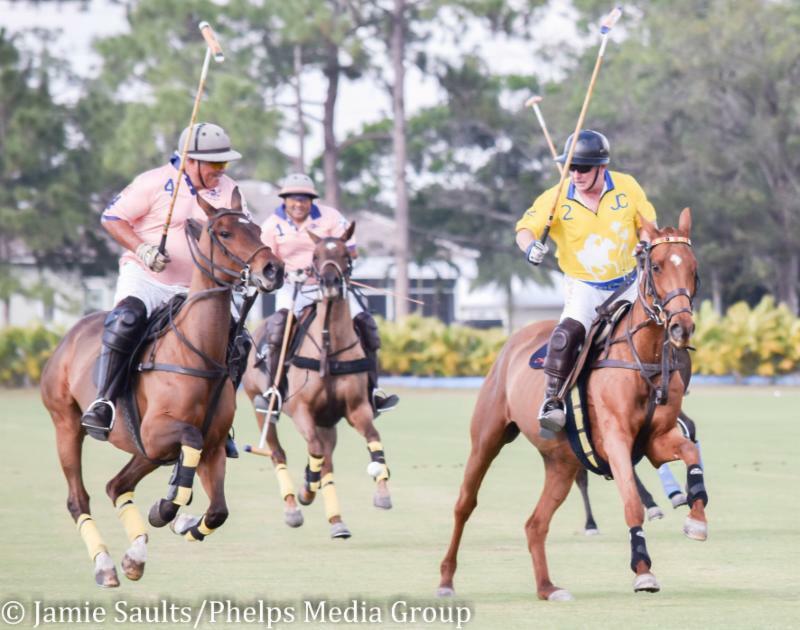 Peter Nathanial led the charge posting two goals for Boca Polo along with one from patron Timmy Sharma in the first chukker while Whitney Ross notched the only goal that chukker for Palm City Polo. In the second chukker, the pendulum swung with Palm City Polo scoring three goals to Boca Polo's single shot leaving the match in a tie at half time 4-4. "We're playing better and getting used to the rhythm and timing at this level of polo. We had good communication and rhythm that came together," said high scorer Nathanial. "The score changed a few times during the game so it was pretty evenly matched until we broke through at the end." Our strategy was to get the girls the ball up front and get them running at goal," said team captain John Gobin. "I would drop in behind and we won by half a goal, so it worked." High scorer Ross felt the team just connected. "At first it seemed a little off and then, by the end of the game, we all worked nicely together and pulled it off which was exciting. 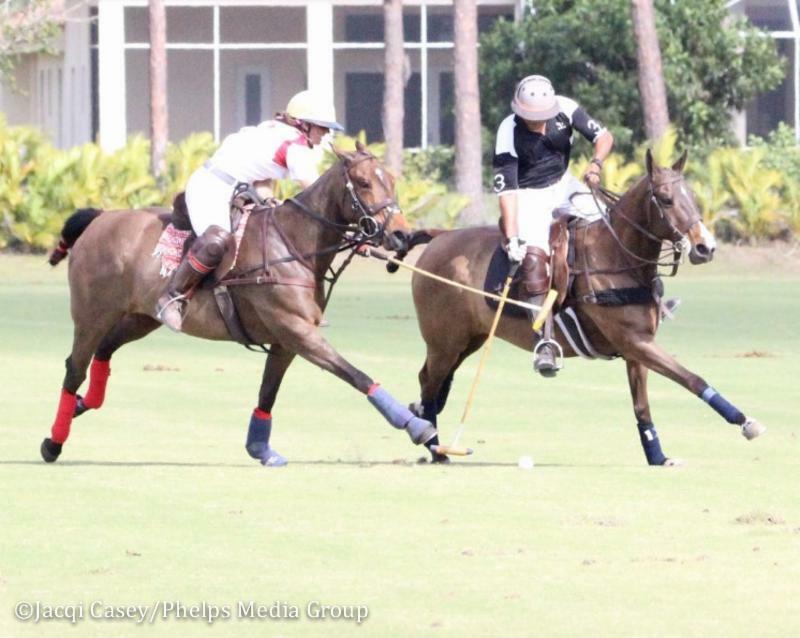 It's so fun to play at Palm City Polo Club." During the break, Greenhill Winery seemed to have lost their drive failing to record any goals for the remainder of the match while Tuff Rider's consistency vaulted them into the lead. In the third chukker, Sharma scored along with Gwen Rizzo to go into the final chukker 4-2.5. Rizzo scored once more for Tuff Rider to secure the victory 5-2.5.